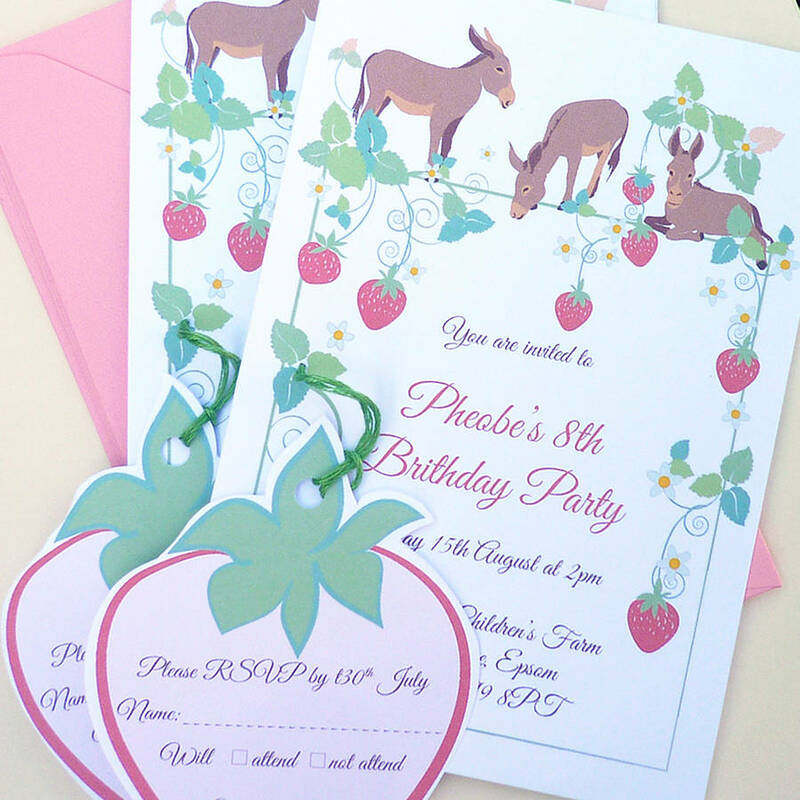 Personalised 'strawberries & donkeys' birthday invitations with added RSVP card. 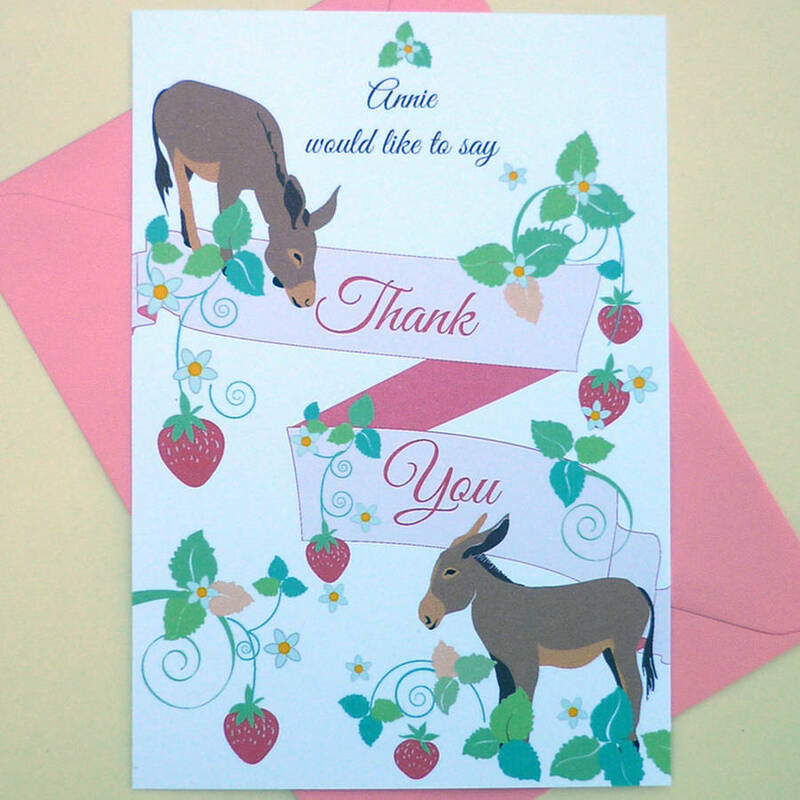 This original design by Ink Pudding features vintage-inspired strawberries and donkeys in shades of green, pink, red, and gentle browns. Personalised with your child's name and party details, individually hand made to order, these invitations would be perfect for a spring or summer occasion. 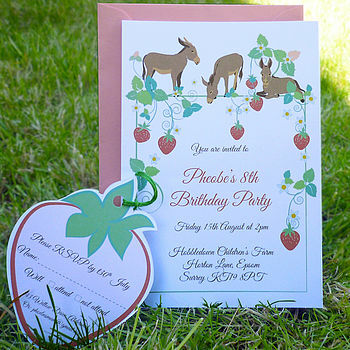 They can also be used as birth announcements or christening invitations. 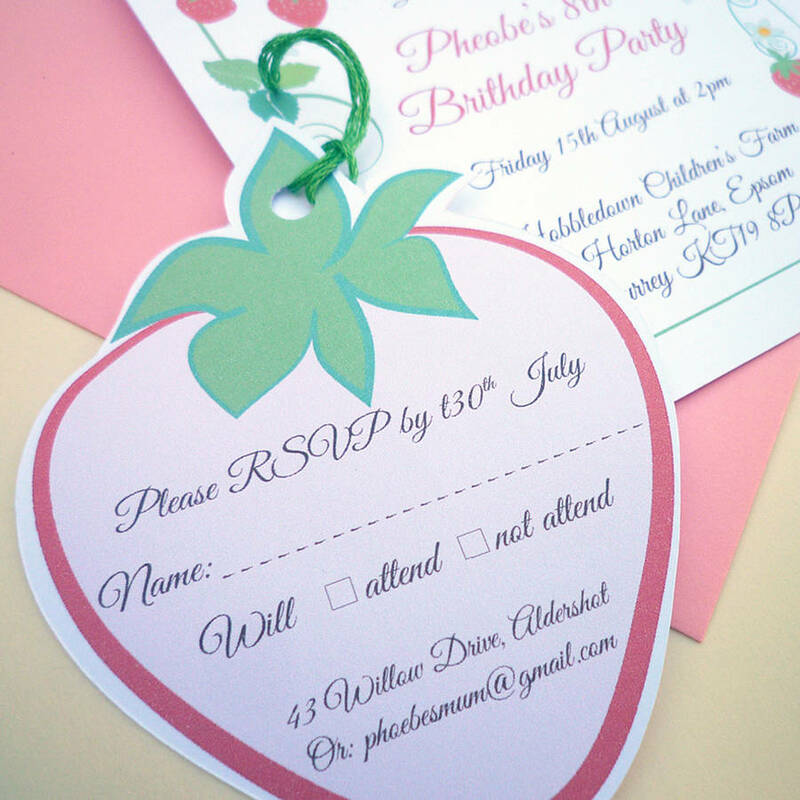 Each invite includes a strawberry-shaped rsvp card attached with a green cotton thread and a pattern in the same theme on the back of each card making them extra special. 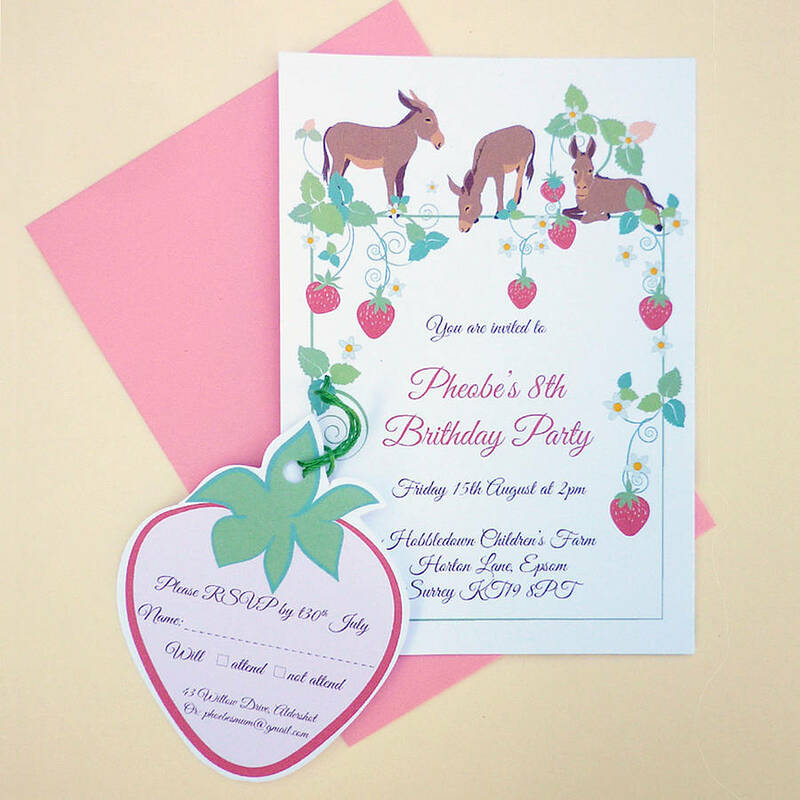 Each invitation is supplied with a choice of either pink or green envelopes. 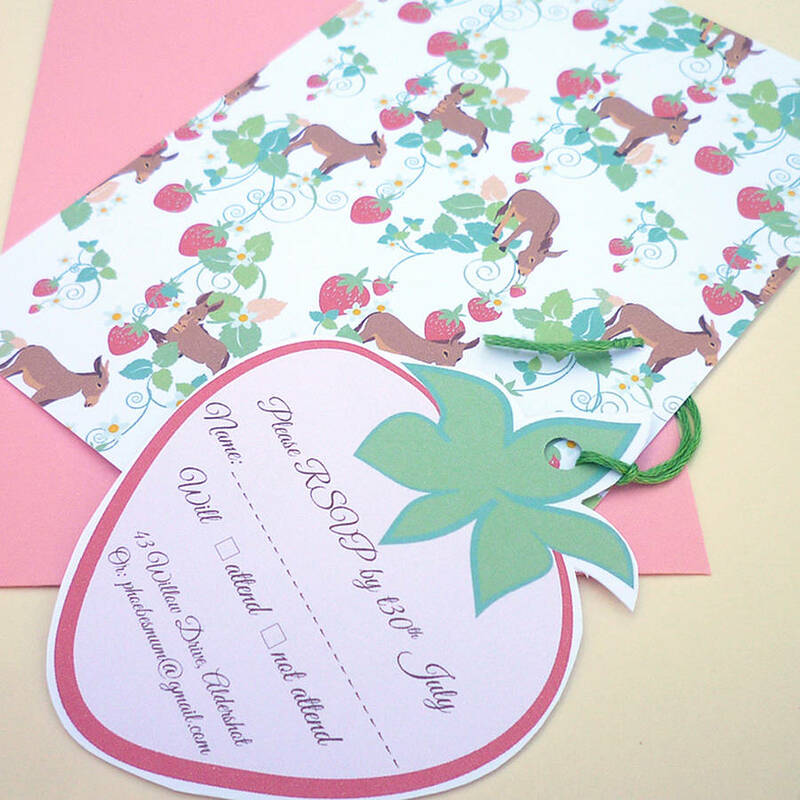 Matching Thank you cards and cupcake wrappers also available. Please make sure you take extra care when typing the required name and details to avoid any spelling mistakes. 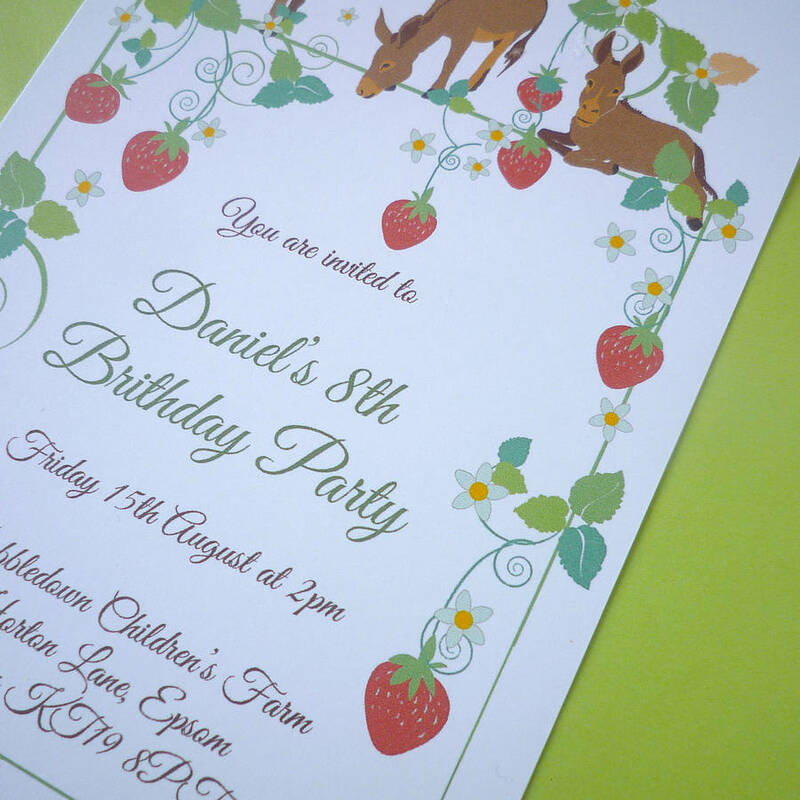 A digital PDF proof of your invitation will be sent out to you for approval prior to production. The cards are made to order and printed on smooth white card. They are supplied with envelopes and packed in a cellophane wrapper.